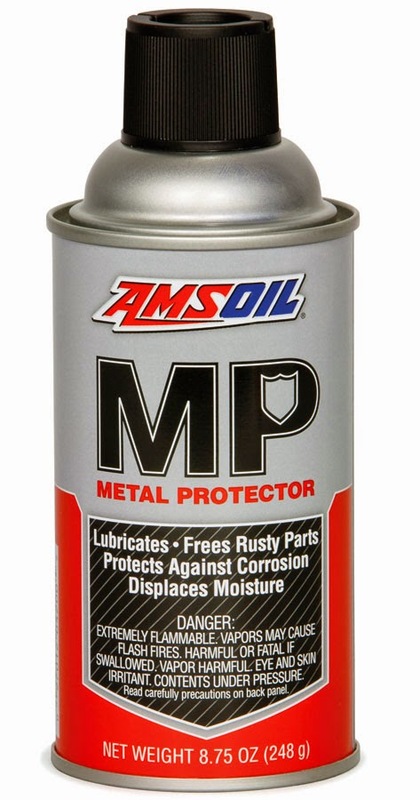 AMSOIL offers several products specifically designed for industrial applications. AMSOIL industrial lubricants are formulated to exceed accepted industry specifications and deliver exceptional performance and protection in a wide variety of applications. Learn more about AMSOIL industrial products by downloading a data sheet below, or contact AMSOIL Technical Services for product recommendations or to place an order. 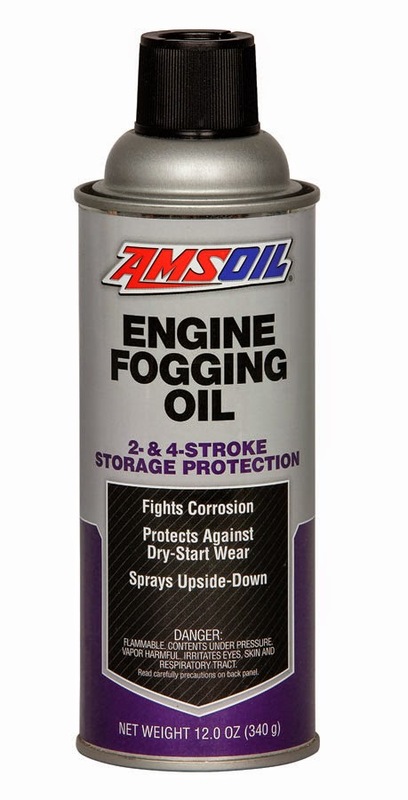 AMSOIL SG Series Synthetic Gear Oil's advanced synthetic formulation is fortified with extreme-pressure (EP) additives to provide industrial-grade performance and protection. It is designed to exceed the increased protection needs of gears and bearings operating under severe-service and shock-loading conditions. 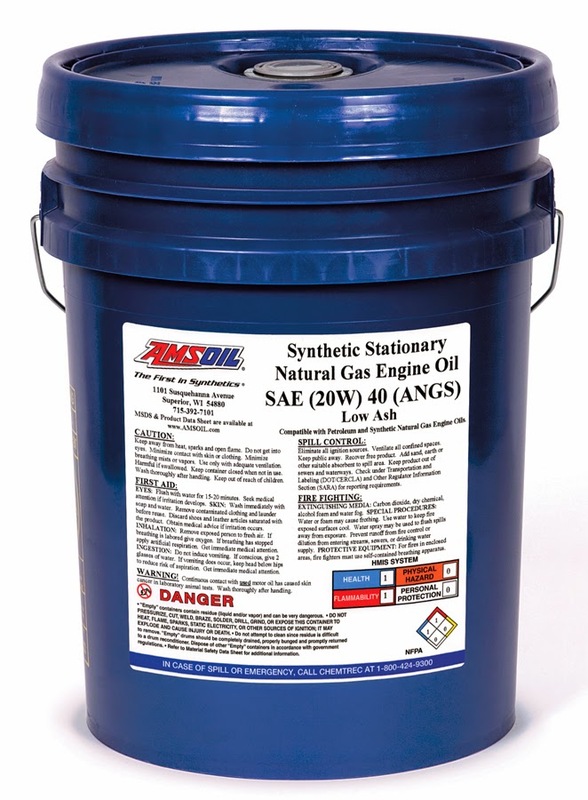 SG Series Gear Oil delivers complete gear box protection, with an emphasis on extreme-pressure gear protection, heat resistance and cold-temperature operability. AMSOIL Synthetic RC Series R&O/AW Gear and Bearing Oils are formulated with high-quality synthetic base stocks and additive systems that effectively reduce wear and protect equipment by maintaining viscosity, resisting thermal and oxidative breakdown, inhibiting rust and resisting the degrading effects of water. 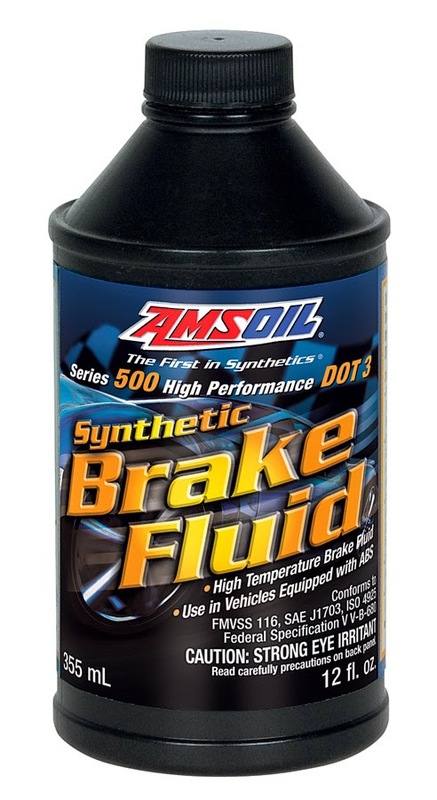 AMSOIL Series 500 DOT 3 High-Performance Synthetic Brake Fluid and AMSOIL Series 600 DOT 4 Synthetic Racing Brake Fluidfeature pure base stocks and robust additives that resist boil-off and the effects of water contamination more effectively than conventional brake fluids. AMSOIL Synthetic Brake Fluids deliver superior high-temperature performance in auto/light-truck, high-performance, racing and powersports applications. The extreme pressure and high heat common to braking can push conventional brake fluid beyond its boiling point, causing it to vaporize, or boil-off. Even more problematic, water contamination can drop the boiling point of conventional fluid below safe standards, accelerating the rate at which it boils off. This leads to a spongy or unresponsive feeling in the brake pedal. In contrast, the unique chemistry behind AMSOIL Synthetic Brake Fluids increase their boiling point temperatures well beyond Department of Transportation (DOT) standards even when contaminated with 3.7 percent water (see chart). They maintain a stable viscosity over a wide temperature range and flow easily at the high pressures generated in today's automotive brake systems to deliver consistent, safe braking. AMSOIL Series 600 DOT 4 Synthetic Racing Brake Fluid features a wet equilibrium reflux boiling point (Wet ERBP) nearly 100°F higher than the DOT minimum, making it ideal for high-performance cars, motorcycles and vehicles used for towing. Robert Bruton Independent AMSOIL Dealer, call me today for more information. Any brand of oil filter may be used with Signature Series Synthetic Motor Oil. For maximum convenience, however, use an AMSOIL Ea® Oil Filter. Made of fully synthetic media with greater filtering efficiency and dirt-holding capacity than conventional filters, Ea Oil Filters are recommended for 25,000 miles/12 months or 15,000 miles/12 months, depending on application, which coincides with Signature Series' once-a-year drain interval. While Signature Series' 12-month service life remains intact if a non-Ea Oil Filter is used, the filter must be changed according to its manufacturer's recommendations. COMPATIBILITYAMSOIL Synthetic Stationary Natural Gas Engine Oil is compatible with conventional petroleum oils and other synthetic lubricants; however, mixing AMSOIL Stationary Engine Oil with other oils will shorten the oil’s life expectancy and reduce the performance benefits. Searching for the right used car can be a daunting task. What to look for and how to find good information can be a task. Let’s show what to look for, who to trust when purchasing a used car. This article will guide you on how to make a good buying decision and navigate your way to a great car. Whether you’re buying from a dealer or an individual, you do have the right to ask for as much information as is available. Here are some checks that will help you find the peace of mind that you made a good purchase. A proper inspection and right questions can save you money down the road. Let’s make sure everything in the car works properly before we make a buying decision. Any repairs the vehicle needs, make sure the seller pays. So take your time before you say yes. Ask good questions like these below.  Find out what service records you can look at. Does the owner have any information that can help you know what services the car had? Regular maintenance is top on our priority list to check for. If the vehicle has had regular maintenance, oil changes, filters, this is an important part of caring for a vehicle. If it has not been properly cared for, pass!  Make a good physical inspection of the car. Things to check, take a white rag and check the color of the oil make sure it looks clean, light brown color good, black is bad. Is the engine compartment clean, any signs of leaks, is the engine to clean? When looking at the outside of the car, do the fenders look like they align properly with the car? Any sheet metal look crooked or out of sorts? Take your finger and run it down the edges of the doors, fenders, trunk lid, and front bonnet. If they feel smooth that is good. If however you feel a gritty or sand paper type feel, that is signs of paint work. A much closer examination is warranted and a good question “has this car ever had any paint work”? Check the tires for proper wear, also tread depth.  Make sure that no check engine lights are on. Certainly don’t trust anyone to tell you “it’s nothing”. Have it checked by a reputable mechanic.  Interior inspection, make sure all the goodies work! Radio, Air Conditioning, Power Windows, Cruise control, make sure all the compartments open, that the lights turn on, the turn signals work. Whatever equipment your prospective car has make sure it all works and works properly. Make sure all the light bulbs work.  Make sure the car has a clean title of ownership. NO Salvage Titles, NO reconditioned titles of any kind. You may pay less for a car with this type of title. Plan on loosing most of your investment when selling or trading in a car with a branded title. Our recommendation is to walk away.  Test drive the car. Make sure you take the car for a minimum 20 minute test drive. Get the car up to cruising speeds. Looking for anything that seems like vibration, pulling to one side or the other, rattles or the like. Find a parking lot that you can turn the steering wheel full to one side and then the other. Make sure you hear no popping sounds. This can be bad joints and costly. Just as important as the mechanical feel, make sure you love to drive the car. Sit in all the seats make sure it’s comfortable.  If purchasing from a dealer make sure it’s a reputable one. Check online reviews, ask friends. If buying from an individual we highly recommend you get a trusted mechanic to check the car before you buy.  If you choose to do so have a 3rd party or a trusted mechanic give the car a good ounce over. If the seller has a problem with this, walk away. If the seller has no confidence in the car to allow for an inspection don’t buy his problem.  If you have access to VIN history reports such as CARFAX, VIN Alert, CARFACTS®. These reports give you the peace of mind to know the car your purchasing has been cared for. Also lets you know where the car has been and where it first began its service.  Don’t be afraid to ask questions. If something is pulling at you to ask, then ask. Take your time when buying a used car. Cars can be made to look very appealing. Don’t let yourself get caught up in emotion. Do your homework before you buy! Take your time to make sure the engine, electrical systems are all in good working order. Ounce you have the confidence that vehicle is in proper working order. Now we can begin making a car buying decision. One of the most harmful things your car will have to endure is rust. Since most of your car is metal, then this can be a real problem if not kept in check. So what is rust? It’s a reaction of iron and oxygen in the presence of moisture that creates a red oxide or rust. Rust in its simplest definition will disintegrate that which it has hold of. Namely metal surfaces of your car. Our cars must endure extreme conditions that on the surface seems innocuous. Take a trip to the beach, fun, harmless. Yet the salt air can wreak total havoc on your cars metal surfaces. Accelerating rust areas on your car. A major problem rust causes are paint bubbles. As rust spreads under the paint of your car and erodes the metal it causes paint to bubble. If left unchecked the damage will become extreme. Hence the paint bubble is your car crying out I have rust help! As rust erodes the surface below the paint, air will find its way in and begin to push the paint away from the surface causing bubbles. Oxygen will find its way through surfaces that the naked eye will never be able to detect. So will moisture and the combination spells disaster for your cars metal surfaces. If your car has bubbles. An inspection of your entire car is warranted. Don’t leave rust unchecked. If you do, the damage will spread fast. It also takes away from the integrity and strength of the metal that protects the car. The metal that protects you and your family! The lighter side is the cosmetic appearance of your car, rust spots are ugly. When possible clean the areas that show rust, then apply a metal protection to the clean areas. In harsh environments wash chemicals off the car quickly such as road salts and sand. Coastal areas rinse your car off often and pay particular care to the undercarriage. You will need to fix rust areas quickly and thoroughly. If doing it yourself, make sure you have some level of know-how before tackling a job like this. When possible a professional body shop would be first choice. Cars today are built with protection and warranties against rust. However, you should take care to make sure build ups of rust don’t occur on raw metal areas. Keep your car clean and free of damaging particulates and you will extend the life of areas at risk for rust. Shopping for cars can be fun. If you’re looking for a new car then let’s make that experience fun. Shopping a car store for your next vehicle with proper information already thought out will make the experience joyful. i. Do you have access to service and maintenance records? ii. Does the car have a clean title? Make sure that the car has no past issues such as, accidents, flood damage, paint work or salvage title. iii. Make a thorough physical inspection of the car. Here are some very simple inspections you can make. Car panel edges, run your fingers across panel edges. If you find them to be smooth that is a good thing, what you want to look for is rough, gritty edges. This is a sign of potential paint work. Ask the seller questions about previous paint work or potential body damage. iv. Check the engine for signs of fluid leaks. Make sure the car has fresh oil, which all the normal maintenance services have been performed and performed on a regular basis for the life history of the car you’re considering. Are the current fluids in the car clean, inspect filters where possible. v. Do the tires show uneven wear? Make sure the car you’re considering has good rubber. vi. Test drive. A nice long test drive in the used car you’re considering will be a telltale of the condition the car is in. Does it rattle, pull to one side or the other? Most importantly is the drive fun, do you enjoy driving the car? Take time to make sure the driving experience is pleasurable. Consider a certified pre-owned if choosing a used car. These vehicles tend to have been more thoroughly inspected and do come with additional warranty. I. Online research. Manufactures web sites, third party web sites. Make sure the cars you’re considering fit your needs and budget. Check out cost of ownership, what has to be replaced on a normal basis, what do those expenses cost? II. Choose the right dealership for you. Does the store have a good reputation, huge selection of inventory, quality service center for normal maintenance and repairs? Check out the stores social media sites. See what customers are talking about. III. Have a good understanding of your credit situation. What is your credit score? Having a clear financial picture is real bargaining power. The good news in today’s market, finance choices are abundant for consumers who have excellent credit and real help for those needing credit assistance to help re-establish themselves with good car credit. IV. If you plan on keeping a new car beyond the manufacturer’s warranty be sure to consider extending the manufacturer’s warranty. Just like you need good health insurance, give your car the same level of coverage. Cars have 25% more on-board computing power than it took to send a man to the moon. Mechanics are now technicians. Warranties will give you peace of mind. Armed with good information before you set foot in the dealership will give you bargaining power. Knowledge to give you the peace of mind that you've purchased the right new car. Don’t let yourself get caught up in emotion while shopping. It’s so easy to fall in love with a really fun car. Remember, the day will come when you have to make regular payments and maintain your new car. Be sure it works within a comfortable budget for you and your family. Get yourself informed, do enough research to assure yourself a successful shopping experience. Get out there and have some fun buying your next new car! Contact Us today! I can show you how you can take care of your Classics for years to come! Two- and four-stroke recreational vehicles, hand-held power equipment, small engines, construction and farm equipment are commonly operated seasonally or infrequently, then stored for long periods of time. During these periods of inactivity, and as a result of fluctuations in ambient temperatures, water vapor can form condensate within the engine. When this condensate comes into direct contact with steel and iron components, it forms surface corrosion on cylinder liners, piston rings, anti-friction bearings and steel/iron contact surfaces on rotational seals. Long periods of storage can also dry out cylinders, often resulting in permanent damage when the equipment is taken out of storage and dry started. 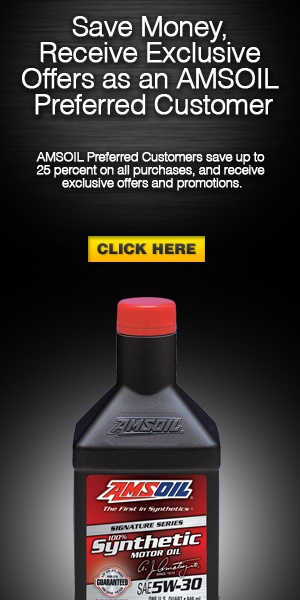 Contact me today and find out how AMSOIL products benefit your applications. DETROIT – It can pay to run Chevrolet Performance parts in drag racing. Competitors who use parts and display the brand’s decal on their race cars are eligible for contingency payouts in many NHRA classes. Contingency awards for 2012-2014 serial-numbered COPO Camaro racers are also available for the NHRA Lucas Oil Drag Racing Series, where the payouts are $1,000 for an overall win and $500 for runner-up. Eligible racers must display Chevrolet Performance’s brand decals, which are available from each of the seven NHRA divisions. Even racers who don’t drive a COPO Camaro can win contingency money. In the NHRA Mellow Yellow Series, racers are eligible for payouts when using a Chevrolet Performance cylinder block or cylinder heads. Double payouts are possible when running both the block and heads. In the Pro Stock class, for example, Chevrolet Performance pays $500 for a win and $100 for the runner up if the racer uses a Chevrolet Performance engine block or cylinder heads. That means a winner can collect $1,000 for a win with an engine using the block and heads. Racers must display the Chevrolet Performance decal. The previous GM Performance Parts decals are invalid for contingency payouts. Go to nhraracer.com for contingency program details. Chevrolet Performance’s COPO Camaro program returns for 2014 with another limited run of factory-produced race cars and a pair of new racing engine choices – including an all-new supercharged 350-cubic-inch engine and a revised version of the naturally aspirated 427. 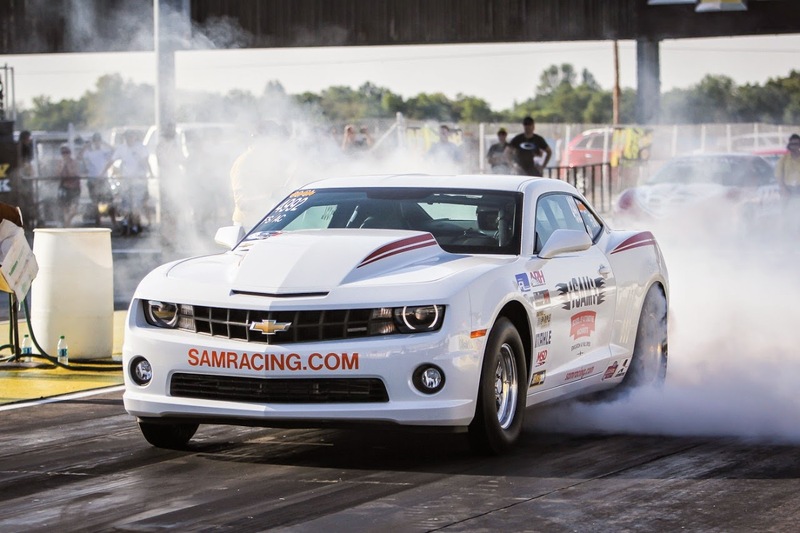 It is the third year for the COPO Camaro program and like the previous two, only 69 race cars will be built for NHRA Stock Eliminator competition. They will carry the distinctive, updated styling of the 2014 Camaro lineup, including new front and rear fascias. The 2014 COPO Camaro also includes new racing seats, updated graphics and a new, available wheel design. The new supercharged 350 for the 2014 COPO Camaro program features the high-performance LSX engine block, forged internals, LSX cylinder heads with six-bolt heads and a 2.9L Whipple screw-type supercharger. It is rated at 530 horsepower by NHRA. Along with the supercharged 350 and updated 427, COPO customers can also select from naturally aspirated 350 and 396 engines. Engine selection is based on the intended NHRA racing class, and customers can purchase all four engines, each serialized to match the car. The naturally aspirated engines are available with a manual transmission and all engines are offered with a Turbo 400 automatic. All of the COPO Camaro racing engines and other COPO parts are available to racers building their own race cars. They’re available through the 2014 Chevrolet Performance catalog, which can be downloaded at chevrolet.com/performance. Also available through the catalog is Chevrolet Performance’s “COPO Build Book,” part number 88958767, which provides an overview of the factory race cars’ assembly process and can be a reference for those who intend to build a body in white for Stock or Super Stock drag racing. It also provides general assembly details that can help builders complete their race car. Driven by more than 100 years of motorsports heritage, Chevrolet Performance fuels the passions of automotive enthusiasts through high-performance vehicles, parts and racing. Performance cars include Camaro SS, SS 1LE, ZL1, Z/28 and the COPO Camaro. Chevrolet Performance parts include crate engines, transmissions, controllers and street-level components. Chevrolet competes in NASCAR, NHRA, TUDOR United SportsCar Championship, IndyCar and a variety of circle track racing series. ATLANTA – Chevrolet Performance today introduced the all-new DR525 drag racing crate engine, designed as the spec engine for National Muscle Car Association’s new LS Stock racing class in the LSX Showdown Challenge Series. 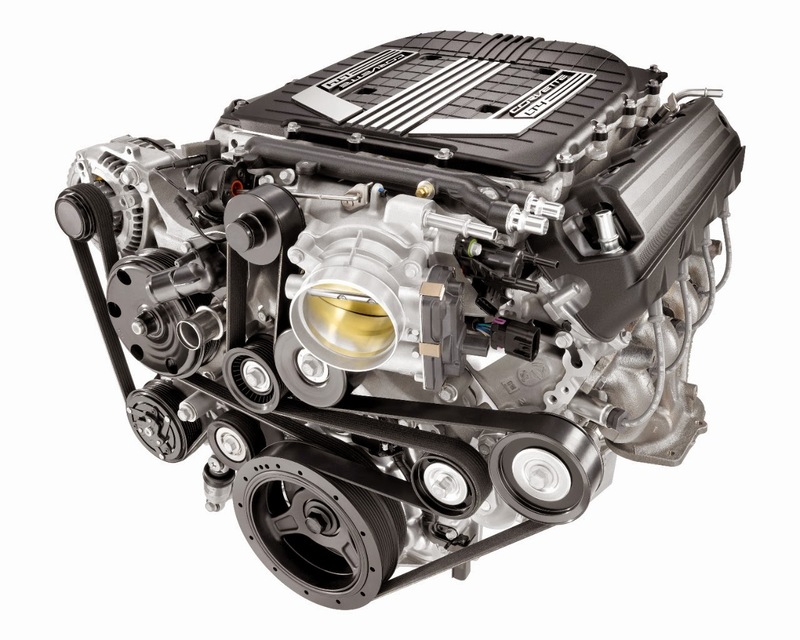 The 6.2L (376 cubic inches) naturally aspirated engine is rated at 525 horsepower and features several tamper-proof bolts to ensure class compliance. It goes on sale Aug. 1. The announcement was made at the start of NMCA’s race at Atlanta Dragway, one of four races included in the Chevrolet Performance LSX Showdown Challenge series, which features competitors using exclusively GM’s Gen III and Gen IV “LS”-family engines. The first race for the LS Stock class and the new DR525 racing engine will be the Norwalk, Ohio, event on Aug. 21-24 – the next stop on the path to the LSX Showdown Challenge championship. Although the DR525 is the spec engine for the LS Stock class, it is legal in other NMCA/LSX Showdown Challenge classes. It is offered with two part numbers: 19329009 (includes Chevrolet Performance’s muscle car oil pan) or 19329008 (includes fourth-generation F-body oil pan). A front accessory drive with alternator, drive belt and more is available separately (part number 19329418). Chevrolet Performance’s custom-calibrated E67-type engine control system – part number 19329003 (sold separately) – must be used with the DR525 in the LS Stock class. It features a tamper-proof engine control unit. The DR525 sealed crate engine carries a suggested retail price of $9,750 (for both part numbers) and the control system’s list price is $1,312.50. The front accessory drive system lists for $812.50. All are for sale – along with other complementing accessories – through Chevrolet dealers and Chevrolet Performance retailers, who can be found at www.chevrolet.com/performance. LS Stock is a naturally aspirated heads-up class designed for 1955-and-later vehicles and is designed as a low-cost, entry-level heads-up class. All entries must compete on accepted suspensions and at the same base weight: 3,300 pounds. Additionally, all entries are required to read and sign a racer’s contract to prevent class participants from tampering with and/or altering the factory-sealed Chevrolet Performance DR525 crate engine and requisite engine control system. The class is an all-run, heads-up field using a .400 Pro Tree start. More information and complete class rules are available at www.nmcadigital.com. Driven by more than 100 years of motorsports heritage, Chevrolet Performance fuels the passions of automotive enthusiasts through high-performance vehicles, parts and racing. Performance cars include Camaro SS, SS 1LE, ZL1, Z/28 and the COPO Camaro. Chevrolet Performance parts include crate engines, transmissions, controllers and street-level components. Chevrolet competes in NASCAR, NHRA, IMSA, IndyCar and a variety of circle track racing series. · The Z07 package adds larger, 15.5 x 1.4-inch (394 x 36 mm) front and 15.3 x 1.3-inch (388 x 33 mm) carbon ceramic-matrix brake rotors for consistent performance lap after lap, and collectively save 23 pounds over the standard Z06 rotors. · The available Z07 package add larger winglets to the front splitter, along with an adjustable, see-through center section on the rear spoiler for track use. 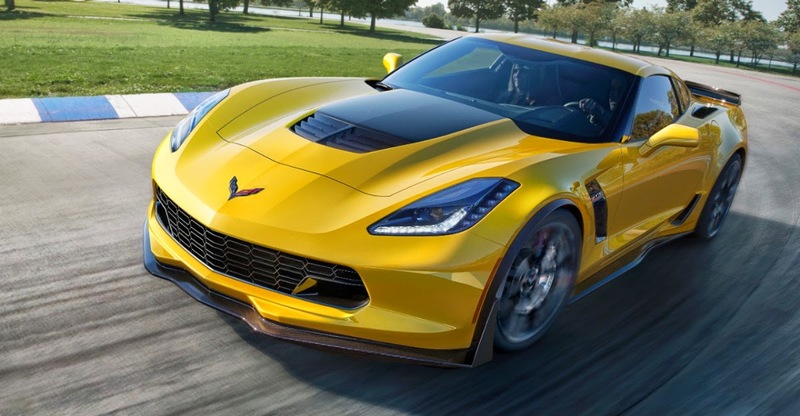 With this package, the Corvette Z06 delivers the most aerodynamic downforce of any production car GM has tested. · Standard dry-sump oiling system with a dual-pressure-control oil pump. · Electronic Limited Slip Differential: Adjusts the rate at which the limited slip engages, to balance between steering response and stability in different driving conditions with more aggressive performance in Sport and Track modes. · Mode 3 is automatically selected when Performance Traction Management is engaged. This calibration has the same function as Mode 2, but is fine-tuned to work with Performance Traction Management. front and rear power-assisted discs with two-piece steel rotors; fixed six-piston aluminum front calipers and fixed four-piston aluminum rear calipers; carbon ceramic matrix rotors with Z07 pkg. Note: Information shown is current at time of publication. Please visit http://media.gm.com for updates. AMSOIL for your ATV and Powersports needs.